Enterprise is now a household name for frequent travelers, road trippers and those with a car in the shop. They’re a brand that’s recognized as a worldwide leader in the car rental industry. They value their employees and customers as much as a member of the family. They take an active role in sustainability, not only because it’s smart for their business, but because they believe in making the world a better place for future generations. Because of their size, they are in a unique position to foster innovation, advance research and test market-driven solutions. Their massive network means Enterprise is the largest transportation solutions provider. They offer car, truck and motorcycle rentals, as well as car sharing and car sales. They’re in over 30 countries with more than 7,200 locations. 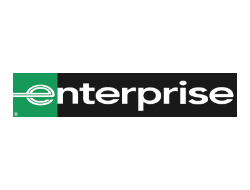 Today Enterprise continues to drive success through a simple, yet powerful set of beliefs to become a leader in car rental, as well as in sustainability and innovation.